Our ocean is vast, awe-inspiring and increasingly under threat. This Earth Day, we need our leaders to do more to protect it -- and that means standing up for our most unique ocean places. Bees are dying off at unbelievable rates, threatening our food supply and our way of life. Some beekeepers recently suffered losses of 90% of their hives. We know one of the biggest causes of bee die-offs is neonicotinoid pesticides, otherwise known as neonics. 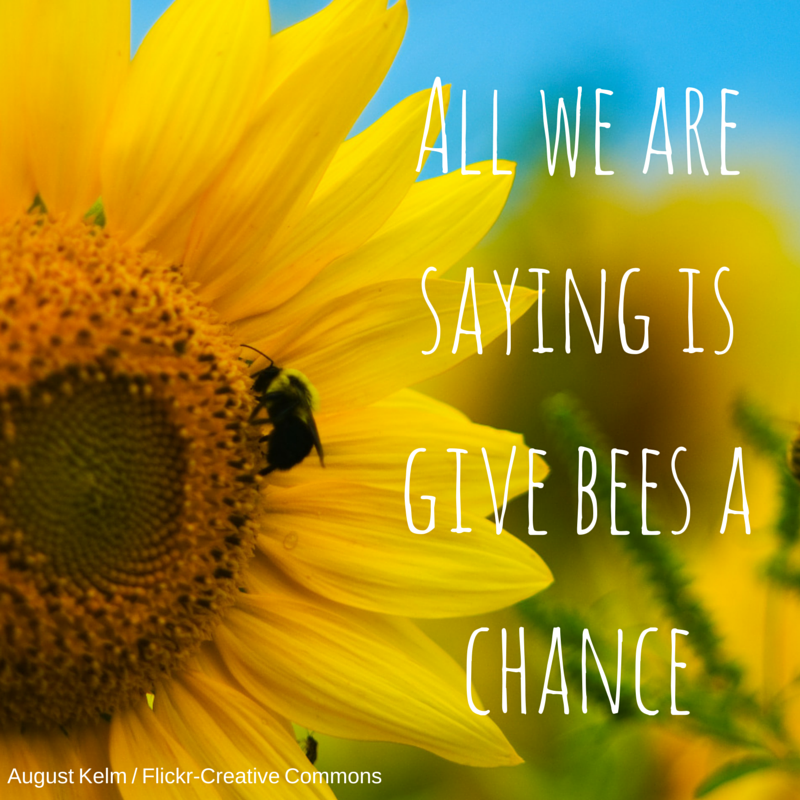 Take action for bees: Tell your U.S. House representative to keep our pollinators safe. The Canadian boreal forest is vast, ancient and of indescribable value. Covering over a billion acres, the forest absorbs and stores tons of carbon to help prevent climate change, and provides a home to irreplaceable wildlife. Tree harvest for tissue products is causing the boreal forest to shrink alarmingly fast. The boreal is too important to destroy, especially since less damaging alternatives to virgin wood fiber are available. I strongly urge you to use recycled paper in your Charmin, Bounty and other tissue brands in order to protect the boreal forest. It's urgent we protect our bees. Tell your governor to support a statewide ban on the most common and problematic uses of bee-killing pesticides. Seismic blasting will have detrimental effects on thousands of dolphins, whales, turtles and more off of the Atlantic coast, especially the North Atlantic right whales, one of the world's most endangered species. Tell Acting Interior Secretary David Bernhardt to prevent this disruptive practice from invading the Atlantic. 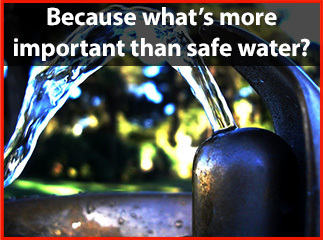 Tell the EPA: Keep toxic PFAS chemicals out of our drinking water. I urge you to set strong, health-based standards that keep toxic per- and polyfluoroalkyl substances (PFAS) out of our drinking water. Even at low levels, PFAS chemicals are highly toxic, and they have already contaminated the drinking water of millions of Americans. 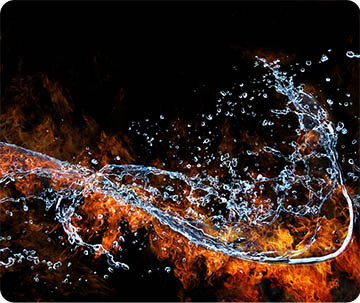 Please protect our health by setting a limit of 1 part per trillion in drinking water for the entire class of PFAS chemicals. 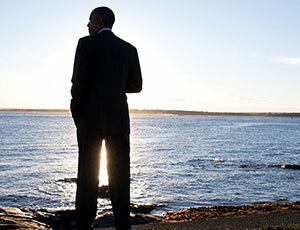 Love of our coast and the urge to protect the Atlantic is an issue that crosses even the bitterest political divides. The facts have shown time and time again that offshore drilling leads to dangerous spills that do irreparable harm to ocean ecosystems. The Atlantic is simply too precious to risk for the sake of a little more oil. 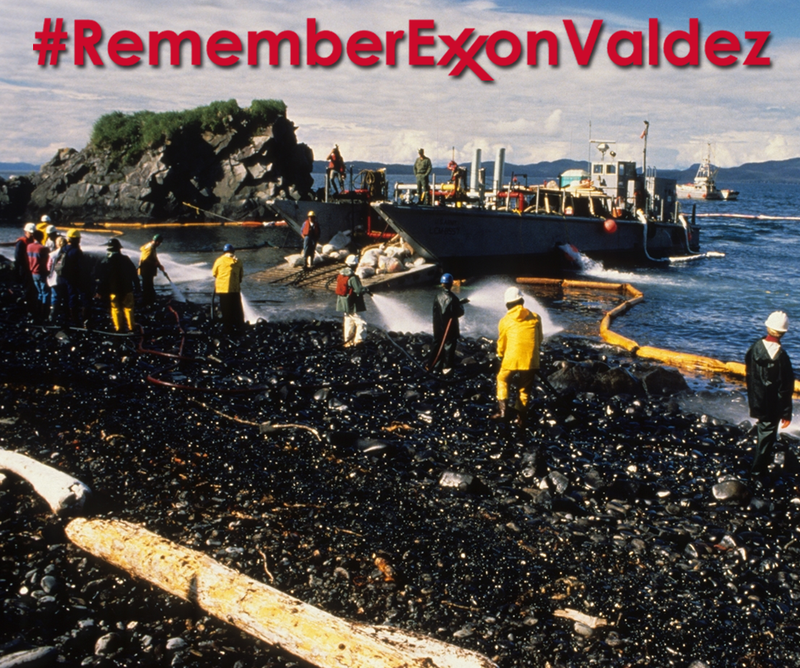 I strongly urge you not to expand oil development off our coasts. The state of Alaska has asked the Trump administration to exempt the Tongass from the Roadless Rule -- and despite thousands of public comments arguing to keep Tongass wild and roadless, the Forest Service is still moving full steam ahead with a possible exemption. One clear way to stop this? Making the Roadless Rule the law, so the U.S. Forest Service can't grant an exemption for the Tongass or any special wild place. Call on your legislators to protect the wild places in the Tongass and all our national forests. The Trump administration's latest rollback could result in inefficient, energy-draining light bulbs in half the light sockets in the country -- at a time when we need to be using less energy, not more. Tell the Department of Energy: Don't roll back energy efficiency standards. So many of our nation's natural treasures have been damaged or destroyed in the name of economic progress or ecological shortsightedness. We need to help our wildlife and wild places recover and thrive, not consign them to extinction. Today, only 5,500 wolves roam the Lower 48 states -- down from hundreds of thousands at their peak. The job of wolf recovery isn't done yet, and wolves need the protection of the Endangered Species Act to survive. Students recognize a growing urgency for decision-makers to mitigate climate change impacts that will disproportionately affect the futures of young people. Madison Metropolitan School District (MMSD) stakeholders are petitioning the Board of Education to establish and implement a plan to increase renewable energy generation and improve energy efficiency outcomes across all MMSD facilities with a goal of 100% renewable energy by 2040. These actions will provide students with hands-on educational opportunities in a growing clean energy job market and benefit taxpayers through financial savings that can be directed towards improving learning outcomes. By signing this pledge, I affirm my petition for MMSD to promote a sustainable, equitable, and livable environment for current and future generations of MMSD children. Lead is a known health threat, especially to children, that can result in permanent brain damage. Yet across the country, lead is still being found in our drinking water. Ask your governor to get the lead out of schools' water. Plastic pollution is everywhere. Now it's even in the lowest part of the planet, the Mariana Trench. Tell your governor to ban polystyrene, one of the worst forms of plastic pollution, in Wisconsin. As hotspots of innovation and expertise, colleges and universities are uniquely positioned to help accelerate the transition to a clean energy future. Add your name in support of a 100% renewable energy future on college campuses. At most, only 411 North Atlantic right whales remain on our planet. Human activity has pushed this species to the brink of extinction, but right now, we have a chance to save them. Tell your senators to protect the North Atlantic right whales. Single use plastic products, like straws, pose a serious threat to the environment and to wildlife when they are discarded. Nothing we use for a few minutes should be allowed to pollute our rivers and oceans for hundreds of years--especially when we don't really need it. I pledge to say "no" to plastic straws on this National Skip the Straw Day, February 22, 2019, and beyond. Will you pledge to Skip the Straw? Nothing we use for only a couple of minutes should pollute our environment for hundreds of years. When we discard single-use plastic products -- like plastic drinking straws -- they can make their way into the environment, threatening wildlife and polluting our communities. It's time to say "no" to plastic pollution. I pledge to "skip the straw" for National Skip the Straw Day this February. By using our energy more wisely and efficiently, we can combat climate change and clean up our air. I support standards that require appliances and other commonly used products and machinery to be more energy efficient, for the good of our communities and our planet. Tell your governor to protect the bees in Wisconsin. Ninety percent of the world's food comes from just 100 crops, and bees pollinate 71 of them. Without bees, we would have less chocolate and fewer strawberries, let alone the bright and colorful flowers that we give our loved ones on Valentine's Day. Without bees, this holiday wouldn't be the same, and neither would our ecosystem. Tell your senators: Don't let the Trump administration pull the plug on electric cars. The Trump administration wants to end an important tax credit for electric vehicles, slowing down our transition to clean transportation at a time when we need to be doing everything we can to stop burning fossil fuels. Tell your senators: We should make it easier, not harder, for people to buy clean, electric cars. Utah's national forests showcase the state's unique terrain, connecting mountain peaks and high-elevation lakes with canyons and valleys. Altering Utah's protection under the Roadless Rule will put 4 million acres of forested land at risk of logging. We can't risk the protection of these treasured spaces. I urge you to keep our national forests protected. The Arctic National Wildlife Refuge is one of the most pristine wilderness areas left on the planet. Its coastal plain is essential to the polar bears, migratory birds and Porcupine caribou that depend on the plain throughout the year. Oil drilling would do irreversible damage to the wildlife populations and the land. Drilling doesn't belong in a wildlife refuge, especially the Arctic National Wildlife Refuge. I urge you to adopt a "No action" alternative to drilling in the Arctic National Wildlife Refuge. We have the power to waste less and use our energy wisely and more efficiently. Sign up to learn more about action you can take at home, in your community and in your state. Tell Sens. Johnson and Baldwin: Support the Roadless Area Conservation Act. The Trump administration is chipping away at the Roadless Rule, which protects some of our most valuable wild places. The Roadless Area Conservation Act of 2018 would protect all 58.5 million acres of roadless national forest in 39 states -- permanently. Tell Sens. Johnson and Baldwin: Support the Roadless Area Conservation Act. Methane is one of the most powerful greenhouse gases, and approximately one-third of all methane pollution is generated by the production of oil and gas. The newly proposed rollback would produce an additional 350,000 metric tons of this intense, global warming pollution over the next six years and have detrimental effects on our climate, air quality and health. I'm writing in support of the Saving America's Pollinators Act. Bees are dying off at unsustainable rates, putting our food supply at risk. A big cause of these die-offs is bee-killing neonicotinoid pesticides -- but these neonics are still widely used, even in wildlife refuges that should be the safest place for bees. I urge you to pass this critical legislation to halt the use of neonics. Gray wolves roamed America from coast to coast until hunting and trapping nearly eliminated them entirely. Today, wolf numbers are increasing -- but even this much recovery would have been impossible without the Endangered Species Act (ESA). We know wolves need protection if they are to survive. Call on your U.S. senators to vote "no" on any legislation that removes ESA protections for wolves. Tropical forests are crucial to protecting endangered species and slowing climate change, and given the findings of the latest report on the state of our climate by the Intergovernmental Panel on Climate Change, we simply can't afford to wait until 2030 to take action. Cargill can be a leader when it comes to ending deforestation and protecting our climate. I urge you to strengthen Cargill's forest policies to commit to eliminate all deforestation in all of its supply chains by 2023. Add your name now to tell the Trump administration you won't stand for its Dirty Power Plan. Nothing we use for a few minutes should pollute our oceans, lakes and rivers and threaten our wildlife for centuries. Ask our governor to take the lead on plastic pollution by supporting a ban on polystyrene foam cups and containers. I urge you not to finalize any plan that would allow mining or drilling on the land formerly protected under Grand Staircase-Escalante National Monument. Its iconic rock formations, 30 million years of fossils, and prehistoric ruins are more valuable than any resource we could extract. It would be a tragedy to see this beautiful place crawling with bulldozers and dotted with oil wells. 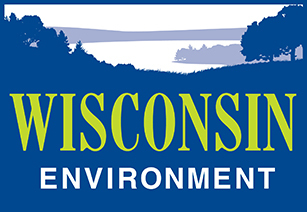 Wisconsin Environment works for a greener, healthier world, with clean air, clean water and clean energy. Sign up to get involved today. Earlier this month, the Bureau of Land Management released a draft plan that opens the lands that used to be part of Bears Ears up for mineral development such as uranium mining. Submit your public comment today to say no to mining at Bears Ears. The Obama-era Clean Power Plan was set to stave off the worst impacts of global warming by cutting carbon emissions by 32 percent by 2030. With the dire impacts of climate change becoming more visible by the day, neither our health nor our environment can afford an increase in carbon dioxide entering the atmosphere. I strongly urge you to implement a power plan that dramatically cuts carbon emissions and ensures a healthy, sustainable future for us all. We've known for decades that lead contamination is a threat to our health. The Contaminant and Lead Electronic Accounting and Reporting Requirements (CLEARR) for Drinking Water Act would provide federal funds for communities to get the lead out of their drinking water when they can't afford to do it themselves. It will also direct the Environmental Protection Agency to require electronic reporting of lead testing results and put in place stronger requirements for repeat offenders. Tell our senators: Support the CLEARR Act. The Endangered Species Act (ESA) has formed the bedrock of American conservation for over 40 years, and has been 99 percent effective at preventing extinction. The proposed regulatory changes would make it easier to take protected status away from vulnerable species, and harder to protect the habitat they depend on to survive. To protect our nation's rich biodiversity and the health of ecosystems on which we all depend, I urge you to withdraw the proposed changes to the ESA, specifically those contained in Dockets No. FWS-HQ-ES-2018-0006, No. FWS-HQ-ES-2018-0007, and No. FWS-HQ-ES-2018-0009. Transportation is the single largest producer of greenhouse gases in the United States. Freezing car emissions standards at 2020 levels for the next six years will allow billions of tons of dangerous pollution to continue to enter our atmosphere. For the sake of the air we all breathe, I strongly urge you not to roll back the national clean car standards that protect our health and environment, and to maintain states' abilities to set higher standards. Last month, the Trump administration sent an order asking for deep cuts to clean energy research. Tell your representatives in Congress to reject those cuts and keep funding our future. A spending bill just passed the House with many anti-environment riders in tow, including a repeal of the landmark Clean Water Rule that helps keep drinking water for 1 in 3 Americans safe. Other harmful riders threaten the health of our land, air and wildlife. It's not too late to stop these dangerous anti-environment riders in the Senate, but only if your senators hear from you. Your senators need to know that you won't stand for a spending bill that puts our environment at risk. Join our call on leaders to do all they can to move us toward clean, renewable energy. If kept intact, these standards would cut carbon pollution nationwide by 6 billion metrics tons, protecting the environment and public health. In addition, the average American household will save $2,800 under these standards. Tell your representative: Vote no on any spending bill that threatens our environment with riders. The House will be voting any day now on a spending bill containing over a dozen dangerous policy riders, including a repeal of the Clean Water Rule, which helps keep drinking water for one-third of Americans safe. Other riders threaten our land, air, forests and wildlife. There's too much at stake to let these riders slip through. We've succeeded in defeating dangerous anti-environment riders before, but to win again we need to speak up. Your representative needs to know that you won't stand for a spending bill that puts the quality of our environment and the safety of our drinking water at risk. Join our call on leaders to do all they can to move us toward 100 percent clean, renewable energy. Finally, Scott Pruitt is out as the EPA administrator. With just over a year in office, Pruitt took action to repeal 22 environmental regulations -- including gutting the Clean Power Plan, the Clean Water Rule and clean cars standards. It's heartbreaking. Now, President Trump has the chance to nominate someone who will protect our environment. Someone who will defend this country's most precious resources -- our land, water, and air. Someone who will live up to the mission of the EPA. Tell President Trump to nominate an EPA leader who will be a true protector of the environment. Tell our governor: Keep kids safe. Ban chlorpyrifos. Chlorpyrifos is the most widely used pesticide in U.S. agriculture, and exposure to it has serious consequences. The EPA recognized the risks and banned indoor use of chlorpyrifos more than a decade ago. But chlorpyrifos is still sprayed on crops like corn, apples, strawberries and oranges, leaving families -- and especially children -- vulnerable. Tell our governor to ban chlorpyrifos and protect our health today. Containers made of polystyrene foam never fully break down. Every single piece of polystyrene ever manufactured is still out there today, harming wildlife and our environment. Tell the governor to support a statewide ban on polystyrene. It's urgent we protect our bees. Tell the governor to declare a moratorium on bee-killing pesticides. A day at the beach shouldn't make us sick. We shouldn't have to worry about getting sick while swimming at the beach. Yet the Trump administration's proposed FY 2019 budget completely eliminates the BEACH Act grants program, which helps pay for testing water at our beaches and alerting the public when it's unsafe to surf and swim. Tell your representatives: Protect our health, fund the BEACH Act. The EPA is considering allowing partially treated sewage to be dumped into the waters where we swim, boat and play. Tell the EPA: Don't allow sewage where we swim. Just imagine: Oil and gas drilling pads scattered across the frozen tundra. Heavy trucks and machinery thundering down newly paved roads. Acres of forest and animal habitat torn up to make way for human development. We live in an age where we're running short on nature, and we simply can't allow them to risk this truly wild place for a little more oil. Make your public comment today to stand up for the Arctic National Wildlife Refuge. Today, the House is voting on a polluter-friendly version of the Farm Bill, which is loaded with attacks on clean water and conservation. The bill would even exempt pesticides from the Clean Water Act. It's a no-brainer: Tell your representatives to oppose this destructive bill. I urge you not to weaken protections for groundwater under the Clean Water Act. Groundwater is the source of drinking water for millions of Americans, and without strong protections, this drinking water source will be at risk from leaky landfills, fracking waste pits, manure lagoons at factory farms, and other pollution sources. Exempting pollution that flows into groundwater from the Clean Water Act would put our drinking water at risk. Tell Pres. Trump: WRONG WAY on clean cars! The Trump administration's moves to roll back America's clean car standards recklessly endanger our health and climate. If we slam the brakes on standards that reduce climate-destabilizing tailpipe emissions from cars, it will be more likely that the cars we drive tomorrow will burn more gas, trigger more asthma attacks, and accelerate climate change. Tell Pres. Trump: That's the WRONG WAY on clean cars. There is lead-tainted water in schools and pre-schools across the country, flowing from fountains and faucets where our kids drink water every day. Lead is highly toxic and especially dangerous to children. But right now, many states have no requirements to address the threat of lead in drinking water. Urge the governor to get the lead out of school drinking water. Tropical forest destruction drives out the orangutans, elephants, jaguars and other threatened or endangered animals that live in the forests. What's more, scientists estimate that razing forests to make way for crops or cattle accounts for 10-15 percent of the pollution that's warming the planet and changing the climate. As one of the biggest players in the world's food market, Cargill is in a position to help save our tropical forests. I urge Cargill to honor its 2014 pledge to end deforestation in all of its supply chains by 2020. Coal ash poses a major threat to our waterways, putting them at risk of toxics like arsenic, mercury and lead. Researchers have found evidence of more than 200 cases of coal ash spills and contamination in the US, and the last thing we should do is weaken the few regulations that currently exist. Stand up for our water and don't cut back on coal ash regulations. Solar energy can and should be a much larger part of our energy mix than it is today. With solar energy alone, we have the potential to produce 100 times more power than the total amount of energy we consume each year. More solar energy also means we'll have cleaner air and water, and that we're acting to combat climate change. Therefore, I support action in my community that accelerates the development of solar energy. 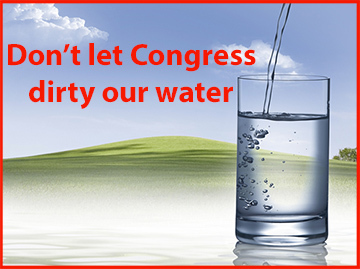 Please do not weaken protections for groundwater under the Clean Water Act. Americans should be able to fish in our rivers and streams, swim in our lakes, and drink safe water from our taps. All too often, though, pollution from corporate agribusinesses enters our waterways, contributing to algal blooms, dead zones and more. More than 37.6 million pounds of toxic pollution generated by facilities owned by Pilgrim's Pride and its parent company, JBS, entered our waterways from 2010 to 2014 alone. I urge you to commit Pilgrim's Pride to reducing its water pollution at its facilities, suppliers and contractors across the U.S.
Each year, Americans throw away millions of foam cups and take-out boxes. Too often, this pollution ends up in our oceans and rivers, where it can harm or even kill birds, fish and other wildlife. Something we use for a few minutes shouldn't be allowed to pollute our environment for hundreds of years. I urge you to support a ban on foam cups and boxes made of polystyrene to reduce pollution in our waters and protect wildlife. Each year, Americans throw away millions of foam cups and take-out boxes. Too often, this pollution ends up in our waterways, where it can harm or even kill birds, fish and other animals. Keeping our drinks hot or cold isn't worth polluting our environment for hundreds of years. I urge you to support a ban on foam cups and boxes made of polystyrene to reduce pollution in our rivers and protect wildlife. Provisions in the budget bill would exempt the Tongass National Forest from the "Roadless Rule," potentially allowing logging and other destructive industries to cut down this wild, pristine forest. 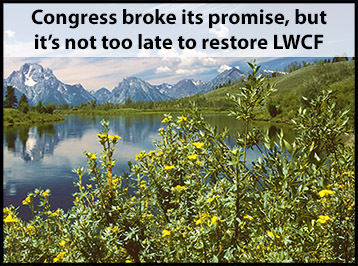 Tell Congress to stand up for one of America's great wild places and oppose the exemption. The anti-environment riders in the budget bill hijack the budget process, cut the public out, and threaten our rivers, lakes and streams. Tell your members of Congress today to vote no on any bill that contains anti-environment riders. President Trump's budget proposal includes massive cuts to the EPA's budget. Tell your senators to stand up for our environment and health by opposing these dangerous and shortsighted cuts. Tell Scott Pruitt: Americans should be able to count on the EPA. It's time for him to stop undermining its mission. The U.S. Forest Service has announced plans to downgrade its promised Environmental Impact Statement to a less rigorous Environmental Assessment. We are calling on the U.S. Forest Service to conduct a full comprehensive study of the harmful impacts of sulfide-ore copper mining next to the Boundary Waters. Happy Valentine's Day! Love is all around. The smell of roses and chocolate fills the air thanks to the mighty pollinator power of bees. But did you know that bees are dying across the country? That's right, and without these pollinators we wouldn't have Valentine's Day treats like flowers or chocolate to give to our loved ones. So, let's show bees some love this Valentine's Day! Sign our valentine to the U.S. Environmental Protection Agency asking them to protect bees by banning bee-killing pesticides. The Clean Power Plan is our nation's best tool to reduce carbon pollution from power plants, combat climate change and protect our health. Analysis by the Environmental Protection Agency finds that repealing the Clean Power Plan could cause the premature deaths of as many as 100,000 Americans by 2050. The White House is proposing a 72 percent cut to the Department of Energy's renewable energy and energy efficiency programs -- once again showing their preference for fossil fuels at the expense of clean alternatives. Take action to prevent these cuts from taking place. Each year, millions of bees die off due in part to a widely used class of pesticides called neonicotinoids. But instead of banning these toxic pesticides, the Environmental Protection Agency is considering allowing them to be sprayed on 165 million acres of previously protected farmland. With 700 bee species at risk of extinction, we can't afford to wait for the EPA to take action. 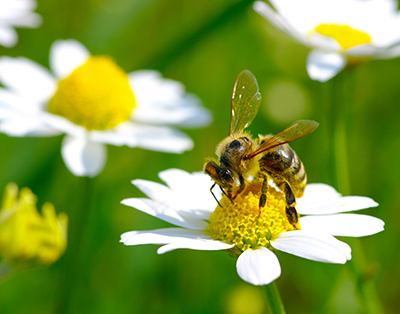 Tell your governor to support a statewide ban on neonicotinoids. Our oceans deserve to be protected. I urge you to exempt them from offshore drilling today. The Trump administration just released their plan to open virtually all our oceans to offshore oil drilling -- and they're accepting your public comment today. You and I and every American who cares about clean and healthy oceans need to make our voices heard before it's too late. Clean, renewable solar energy has been growing at an amazing rate over the past 10 years, but our current Congress and president seem intent on propping up all the dirty energy sources that we know belong to the past -- not the future. It's time to take action right where we live and call on our governor to support policies that will expand solar energy here in Wisconsin. As a hotspot of innovation and expertise, your college or university is uniquely positioned to help accelerate the transition to a clean energy future. Alumni and students will be instrumental in winning strong renewable energy commitments. Join our alumni team to show your alma mater that there is broad support for powering your campus with 100 percent renewable energy. The electrical grids of Puerto Rico and the U.S. Virgin Islands were almost totally destroyed by Hurricane Maria, causing tremendous hardship and suffering. Power needs to be restored quickly, and it should be done in ways that prioritize the health and well-being of the citizens of our Caribbean islands. But if we don't demand resilience and clean energy, FEMA could rebuild the same old, fossil-fuel powered grids that were in place before the hurricanes. 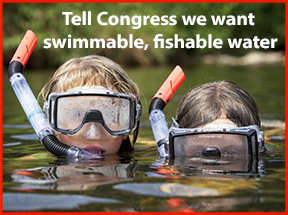 Tell your senators to support funding to restore power and clean water as quickly as possible. At the same time, urge them to require that money spent by federal agencies to upgrade the grid be focused on a cleaner and more resilient electrical grid powered by clean, renewable energy. Even though nearly 90 percent of Americans support more solar energy in America, a national network of utility and fossil fuel groups are chipping away at key state solar policies, threatening to stop rooftop solar's progress in its tracks. Tell your governor to oppose these efforts, and support policies that make it easier for everyone to go solar at their homes. We can harness clean, abundant energy more efficiently and cheaply than ever before. Yet we're still producing, consuming and wasting energy in ways that are doing lasting damage to our environment, our health and our climate. I support 100 percent renewable energy for colleges and universities across America. As hotspots of innovation and expertise, colleges and universities are uniquely positioned to help accelerate the transition to a clean energy future. Campuses are also bigtime energy users, serving more than 20 million students nationwide and spending more than $14 billion per year on energy. Add your name in support of a 100% renewable energy future on college campuses. Note: For "organization," please enter your affiliated college or university. The Trump administration has moved to roll back the Clean Power Plan, one of the best protections we have against air pollution. Tell President Trump: Don't erase protections that keep our air clean and breathable. The U.S. House just voted for big cuts to EPA and other environmental programs. Our national monuments are part of what make our country special. For most Americans, the idea that we've found some places so beautiful, sacred even, that we put them off limits to development, forever, is one of our proudest achievements. I urge you to uphold this tradition and make sure places like Grand Staircase-Escalante, Cascade-Siskiyou and more are preserved for future generations to enjoy. In the face of overwhelming evidence that climate change is causing our oceans to rise, it's unacceptable that we wouldn't take these changes into account as we build roads, bridges and other infrastructure. But last month, the Trump administration rolled back rules requiring that certain infrastructure projects do just that. Tell President Trump: Now, more than ever, we need to plan for climate change and rising sea levels. Our national monuments are part of what make our country special. For most Americans, the idea that we've found some places so beautiful, sacred even, that we put them off limits to development, forever, is one of our proudest achievements. I urge you to uphold this tradition and make sure places like Bears Ears, Katahdin Woods & Waters and more are preserved for future generations to enjoy. The Smoggy Skies Act would block updated ozone pollution limits for years, and impose sweeping changes to future standards for smog-forming ozone and five other major air pollutants. Urge your senators to vote 'No'. Our coasts and oceans are home to stunning wildlife and beautiful beaches that we stand to lose from offshore drilling. I urge the Trump administration to listen to the thousands of citizens, fishermen and business owners in our coastal communities and the millions of Americans from Alaska to Florida who have already said no to offshore drilling in our oceans. Opening them to new offshore drilling goes against the values a majority of Americans share: that our oceans should be preserved, not sold off to the highest bidder. When it comes to our streams, rivers, lakes and wetlands, the waters we love deserve to be protected. But the Trump administration has made clear their intentions to roll back essential protections to our clean water like the Clean Water Rule, which protects the drinking water sources of 117 million Americans. 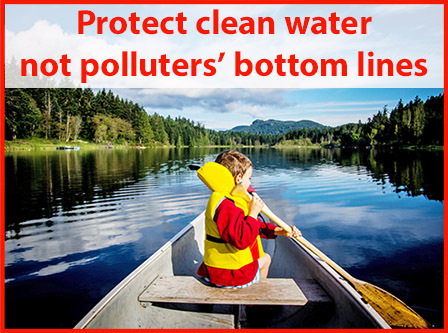 I want stronger, not weaker clean water protections. That's why I'm calling on you to defend the waters Americans love, and uphold the Clean Water Rule. There's no coming back from extinction. Senators are trying to gut the Endangered Species Act, putting wolves, sea otters and more than a thousand other species at risk of extinction. We need you to tell your senators: Defend the Endangered Species Act and stop this dangerous bill. The Grand Canyon is one of America's iconic places, as much a part of our national identity as the bald eagle or the Statue of Liberty. It's one of the places that makes America beautiful, and it deserves to be protected. I urge you to protect this unique natural wonder for future generations by blocking reckless and short-sighted efforts to open the surrounding land up for uranium mining. Lead is harmful to children’s bodies and it should not be in our drinking water. Unfortunately, tests have found unsafe lead levels in communities across Wisconsin, including in schools and daycares. Urge your legislators to protect children’s health by supporting SB48 and AB78, two important bills that would help remove lead pipes from our communities. The Clean Water Rule protects waterways that help provide drinking water to one in three Americans. I urge you to leave the rule intact. Abandoning the Paris Climate Agreement will risk our health and the future of our planet. And if Washington, D.C., won’t act on climate, we need to take the lead. Tell our governor to curb climate change by cutting pollution today. The Trump administration could be the first in U.S. history to revoke national monument protections. The first to lose protection could be Utah's Bears Ears, home to incredible scenery and thousands of years of historical artifacts. Our national network is joining together to tell Interior Secretary Ryan Zinke to keep Bears Ears protected. From Utah’s Bears Ears to Hawaii’s Papahanaumokuakea, from Arizona’s Grand Canyon-Parashant to California’s Giant Sequoia, some of our most incredible natural treasures are protected today as national monuments. They’re part of what makes this country great, ensuring that future generations can enjoy their beauty as well as the culture and history surrounding them. I urge you to honor and affirm all of our national monuments. Our families today and for generations to come are counting on you. The president's budget would eliminate EPA funding for climate change programs. Tell your senators to reject this dangerous and short-sighted budget. Two U.S. senators just introduced a bill that would protect the Arctic National Wildlife Refuge from oil and gas drilling. Urge your senators to vote 'Yes' for refuge protections. More solar energy will benefit our community by reducing air pollution as we do our part to slow climate change. That's why I support setting strong goals and policies for solar energy in our community. President Trump’s proposed federal budget would virtually eliminate EPA funding for proven programs that are cleaning up the the Great Lakes, Chesapeake Bay, Puget Sound, San Francisco Bay and more. These regional programs have already made a difference. They’ve improved toxic pollution hotspots, restored coastal wetlands and worked to keep invasive species like the Asian carp out of the Great Lakes. I urge you to reject any dangerous and short-sighted budget that cuts funding to these successful clean water programs. We can have healthier communities and a brighter future. But to get there, we need to transform the way we produce and consume energy. That's why we're calling for a nationwide commitment to 100% clean, renewable energy. Colleges, companies, and communities across the country can lead the way by committing to getting 100 percent of their energy from clean, renewable sources. The president and his administration are moving to undo the Clean Power Plan, which would deliver more clean, renewable energy to America and reduce the pollution that's changing our climate. The debate is likely to end up in Congress. If we can convince 41 senators to vote to defend the Clean Power Plan, we can win. 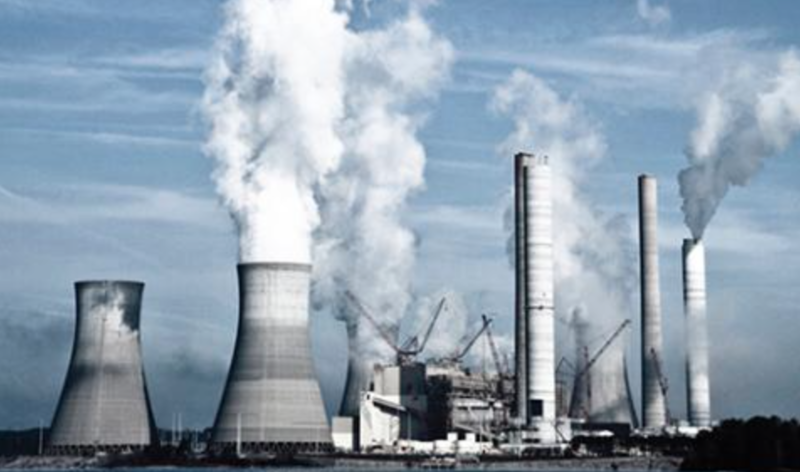 Tell your senators: Defend the Clean Power Plan. But the new administration and Congress have made clear their intentions to roll back essential protections to our clean water like the Clean Water Rule, which protects the drinking water sources of 117 million Americans. I want stronger, not weaker clean water protections. That's why I'm calling on you to defend the waters Americans love, and pledge to block any and all legislation to roll back protections to our clean water. States have always been at the forefront of climate progress. Now more than ever, we need states to lead the way towards a clean energy future. Urge your governor to make a commitment to a rapid shift to 100 percent renewable energy. I'm writing to urge you to designate the Arctic Wildlife Refuge as a protected wilderness. This incredible place is home to polar bears, whales, seals, caribou and other wildlife. Unfortunately, attempts to bring oil and gas drilling to the region threaten to destroy the habitat that these animals need to survive. Additionally, it is now more important than ever that we leave fossil fuels in the ground, given the increasing number of extreme weather events caused by climate change. I urge you to reject HR 717, the Listing Reform Act, and other bills like it that would undermine the Endangered Species Act. The Endangered Species Act is a cornerstone of environmental protection, and since it was enacted in 1973, 98 percent of species listed as endangered have survived. HR 717 would undermine that success and allow short-sighted financial interests to stand in the way of protecting endangered and threatened species. I urge you to vote no on HR 717. When it comes to our streams, rivers, lakes and wetlands, they all deserve protection. Period. 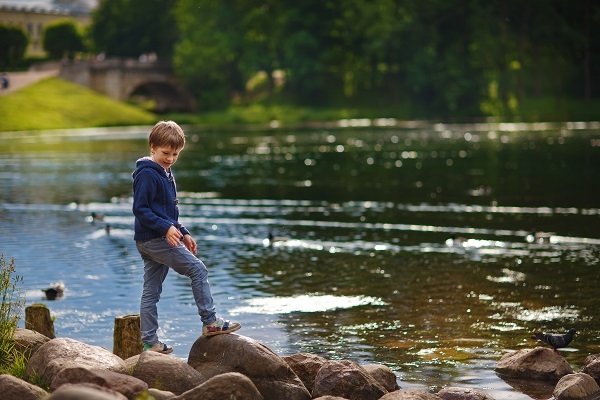 Tell your senators to defend the Clean Water Act by voting against any attempts to roll back the Clean Water Rule, which ensures the protection of more than 2 million miles of rivers and streams and the drinking water sources for one in three Americans. The Arctic is a place of unique beauty, and home to one of the most fragile and sensitive ecosystems in the world. This pristine region should be protected, not exploited for oil and gas and made vulnerable to the unnecessary risk of oil spills. Please stand up for the Arctic and reject Senate Bill 49, the Alaska Oil and Gas Production Act. I urge you to reject the nomination of Scott Pruitt for EPA administrator. Americans deserve an EPA administrator who is guided by science, respects and enforces the law, and will work tirelessly to protect the air we breathe, the water we drink, and the planet we call home. Scott Pruitt's track record indicates that he will not meet this test. Since 2005, the oil and gas industry has fracked over 137,000 wells, used over 6 billion pounds of chemicals (including potential carcinogens), and produced billions of gallons of fracking wastewater. Yet the fracking industry is exempt from regulation by the EPA. Now more than ever, it's urgent that we close loopholes in our nation's key environmental laws that exempt the fracking industry. Join us in calling on Congress to close the loopholes that leave us vulnerable to toxic contamination of our drinking water. From protecting the water we drink and the places we love, to leaving our children a safer, more livable climate, thank you for an environmental legacy that all Americans can be proud of. Some members of Congress are gearing up to overturn President Obama's ban on all future offshore oil and gas drilling in the fragile regions of the Arctic and Atlantic. Tell your senators: The Arctic and Atlantic are worth protecting! The mining industry is pushing hard to open the land around the Grand Canyon to claims to dig for uranium and other metals. This could have catastrophic affects on the wildlife and waterways in and around the park and expose millions of people to radioactive uranium pollution. The Bureau of Land Management is considering opening up land around Chaco Canyon to fracking. Tell them this is a terrible idea. Thank President Obama for saving the Arctic! The mining industry is pushing hard to open the land around the park to claims to dig for uranium and other metals. This could have catastrophic affects on the wildlife and waterways in and around the park and expose millions of people to radioactive uranium pollution. But we can protect the Grand Canyon by ending mining activity in its surrounding areas. Forever. Add your name to our petition to President Obama today. Tell the U.S. Fish and Wildlife Service to protect the rusty patched bumblebee. More bee-killing pesticides? Higher food prices? Less agricultural innovation? Tell the Department of Justice to protect consumers, farmers, and the environment by blocking the Monsanto-Bayer merger. Celebrate 100 years of national parks! As we celebrate the 100th anniversary of the National Park Service, now is the time to renew our commitment to protecting the best of America. That's why we're calling on President Obama to permanently protect the Grand Canyon by declaring a new national monument before he leaves office. As global temperatures continue to break records, we need to cut the pollution that's making the problem worse. The Obama Administration's Department of Transportation is considering a rule that would require state and metropolitan transportation organizations to track, measure, and set goals to reduce carbon pollution as well as other air pollution from transportation projects. This new measure would help reduce global warming pollution, while increasing investment in public transit, expanding zero-carbon transportation like walking and biking, and cleaning up the air we breathe. But it won't happen without your support. Tell the U.S. Department of Transportation and the Environmental Protection Agency you support new rules to curb pollution from transportation. It's urgent we protect our bees. That's why we're swarming the EPA with more than 50,000 petitions to ban bee-killing pesticides by July 31. Add your name. 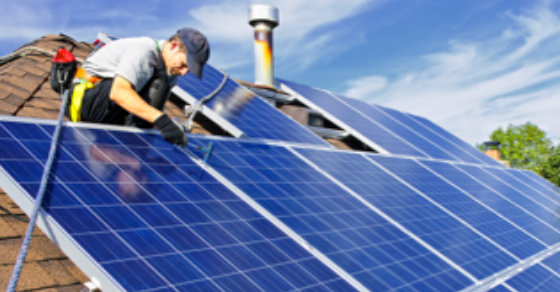 All over the country, officials are considering changes that could hurt rooftop solar. 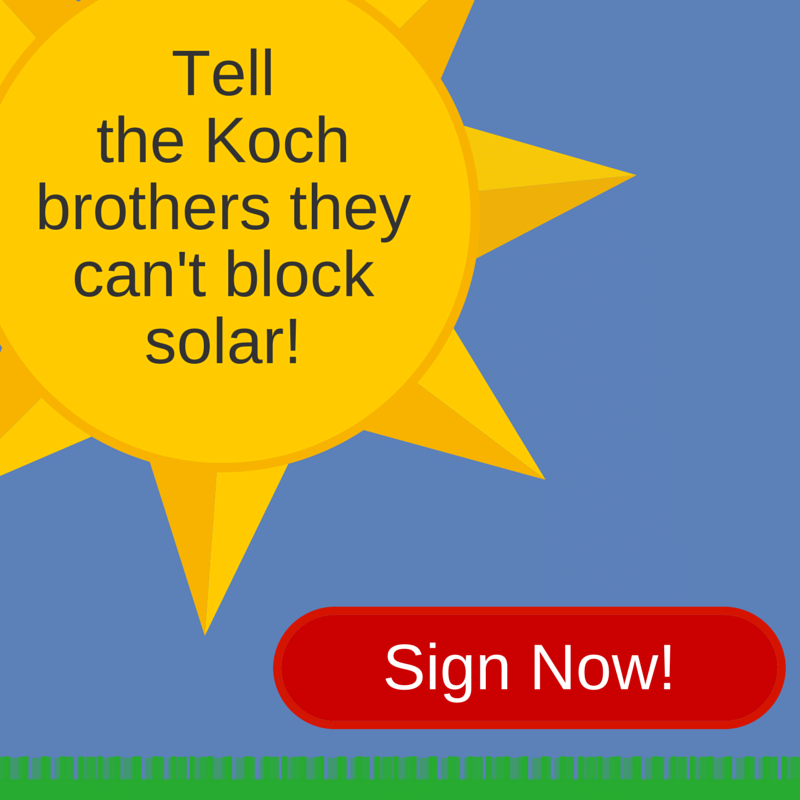 Sign to let your regulator know that solar must be a big part of our energy future. Right now, we have the chance to end a senseless program that fast tracks the construction of pipelines in our nation's wetlands, which provide habitat for many animals and plants, not to mention the critical role they play in improving water quality. Add your name to help us end this program and protect our vital wetlands. Glyphosate, the chemical used in Monsanto's Roundup, is extremely prevalent in our bodies, food, and environment, and new evidence shows the chemical may cause cancer. Tell the EPA to suspend use of glyphosate until it's proven safe. Fracking has left behind a radioactive legacy, endangering public health. Researchers identified 3,900 radioactive spill sites in the Bakken Shale region, one of the most fracked areas in the country. Radioactive spills put surrounding communities at elevated risk of cancer. The only way to stop this health disaster is to ban fracking. Add your name in support of a ban. *If you're a health professional, please indicate this in the "Occupation" field. Tyson Foods is a huge water polluter, but they won't clean up their act unless they hear from people like you. Add your name now to tell Tyson to stop polluting our waters. Today on World Oceans Day, we need our leaders to do everything to protect our oceans, especially from climate change. Your governor has the power to dramatically cut carbon pollution from the biggest source in the U.S. -- power plants -- and shift to a renewable energy future. Let's make sure your governor knows that protecting our oceans is another reason to cut carbon pollution. Sign today. Tell President Obama: No new drilling! The Obama administration has plans that would allow new drilling in the Arctic and the Gulf, risking our climate and communities. Tell President Obama: No new drilling! Places like Puerto Rico's Vieques National Wildlife Refuge should be protected, not sold off to the highest bidder. But that's exactly what will happen if House Natural Resources Committee Chairman Rob Bishop gets his way. It's outrageous and it's just the most recent attempt to sell off our public lands to make a quick buck. Will you send a message to your members of Congress right now, telling them: Our public lands are not for sale. Not one acre. Keep our public lands public! It's the 100th anniversary of our national park system. But instead of celebrating America's "best idea," some in Congress want to sell off our treasured public lands -- land that belongs to all Americans. Send a message to your representatives: Our public lands are not for sale. Not one acre. The Great Barrier Reef is at risk, take action today! 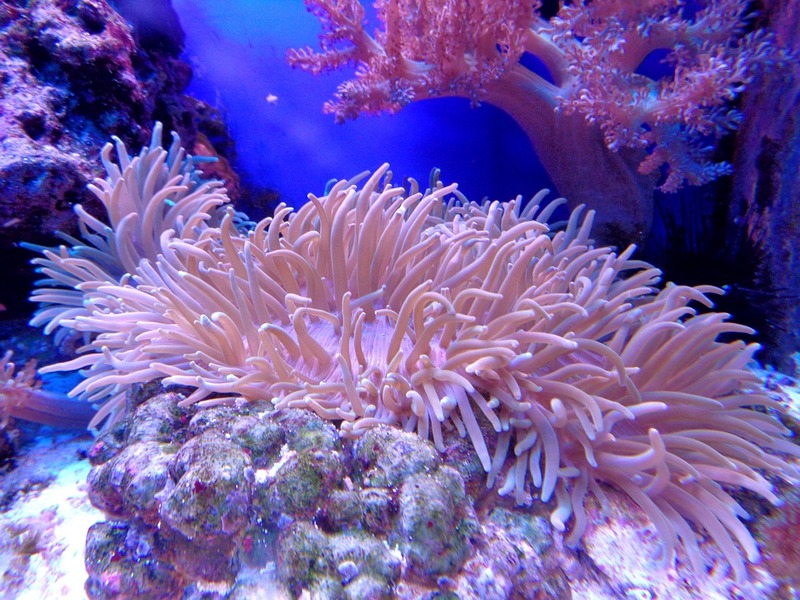 The Great Barrier Reef is in 'grave danger' due to climate change. In order to protect this beautiful place, we need to take strong action here at home. Sign our petition to our governors, telling them to stand up to big polluters and their allies trying to turn back progress on climate. Support the Clean Power Plan and protect beautiful places like the Great Barrier Reef. Pollution from factory farms and other corporate agribusinesses is polluting our waters on a massive scale, but nobody is forcing them to clean up their act, and they won't change unless we demand it. Add your name now! The EPA is considering limiting one of the pesticides that's been linked to the bee die-off -- but their window for feedback is expiring on April 14. Add your name now to save the bees. Lead poisoning can create serious problems for children, but many public schools throughout the country are showing high levels of lead in drinking water, and no one really knows the extent of the problem because only 10 percent of schools are required to test for it. Tell President Obama and EPA to require all public schools and day cares to test for lead and to immediately make those tests public so regulators, schools, and parents can make informed decisions if a school's drinking water is safe. Saving the bees is going to take all of us doing our part. That's why we're stepping up this Earth Day with a bigger, bolder campaign to stop the use of bee-killing pesticides. Help kick it off by adding your name to urge the EPA to ban the use of bee-killing pesticides. The Grand Canyon area is a terrible place for uranium mining. President Obama has the ability to protect this area for future generations. Tell President Obama to protect the Grand Canyon by designating the 1.7 million acres of lands and waters around the park as a national monument. 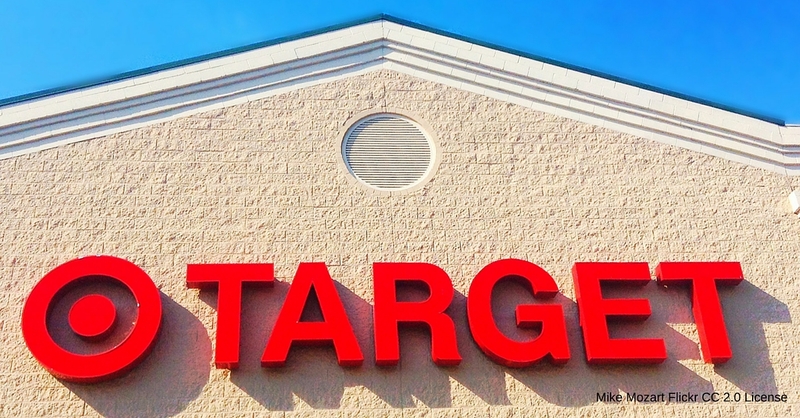 I support Target putting solar panels on all of their stores by 2030! By doing so, they could power nearly a quarter million homes and remove 12 million cars worth of global warming pollution. Take action to give our national parks a better birthday! Thank the president for saving the Atlantic Coast! Tell your members of Congress to protect all of our national parks, so our families can continue to experience them for the next 100 years. Our aging and corroded water infrastructure throughout the country is failing at an alarming rate. And the stakes couldn't be higher: the very water we drink. Thankfully, a bill was just introduced that would go a long way toward fixing this problem. Take action now, and let's convince our senators to support much-needed upgrades for America's drinking water. 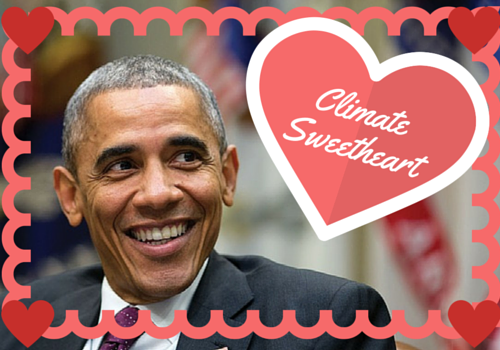 Thanks for being a real climate sweetheart! President Obama vetoed polluters' latest attack on the critical clean water protections we helped win. One of the country's largest natural gas storage facilities, located just outside Los Angeles, is sending 110,000 pounds of climate-disrupting methane into the air every hour. Meanwhile, the Obama administration is finalizing rules to limit methane emissions from new oil and gas facilities. But the current proposal does nothing to prevent future disasters from existing oil and gas facilities. Tell President Obama and the EPA to take stronger action to protect our climate and communities from methane pollution. Make wind power a major part of America's clean energy future! This year was a major milestone as construction began on America's first offshore wind project but unfortunately, Congress allowed the main federal tax incentives for wind energy to expire in 2014 -- leaving the future of wind in peril. Don't let Congress stand in the way of our clean energy future. America's rivers, streams, lakes and other waters are where we go to swim, fish, canoe or just enjoy the scenery. They supply us with clean drinking water. And we should be doing all we can to protect them. But polluters and their allies in Congress are fighting to reverse the president's historic action to protect the waters we love. We're setting the record straight: Americans are for clean water. Not polluting rollbacks. Take action to save the bees. Tell the EPA to ban bee-killing pesticides known as neonics. Despite the devastating environmental impacts of drilling, mining, and burning fossil fuels, the oil and gas industry has no plans of stopping. That's why senators from across the country are coming together to pass landmark legislation. Water is our most precious resource, but the threats to our waterways and drinking water are downright frightening. 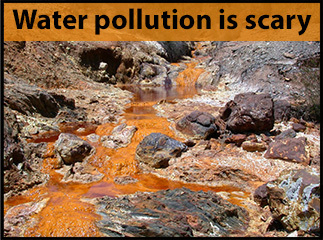 Tell Congress there is nothing to fear from clean water, but plenty to fear from not protecting it. The historic clean water protections that you helped win have been suspended nationwide, and could be overturned. We simply can't allow our country to go backwards on clean water. Tell the more than 20 Attorneys General who are holding up the Clean Water Rule, to do the right thing and drop the cases. Tiny microbeads can be a big problem for our environment, causing harm to aquatic habitats and wildlife. 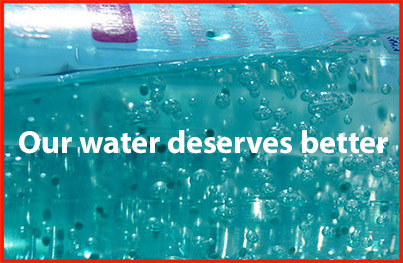 Tell Congress to pass a strong bill that bans all plastic microbeads in personal care products. Voice your support to clean up trucks! After a summer like this, we know we need to do everything we can to tackle global warming pollution. Making trucks go farther on a gallon of fuel can curb pollution, help save the planet, and save money. Voice your support NOW for cleaning up dirty trucks! 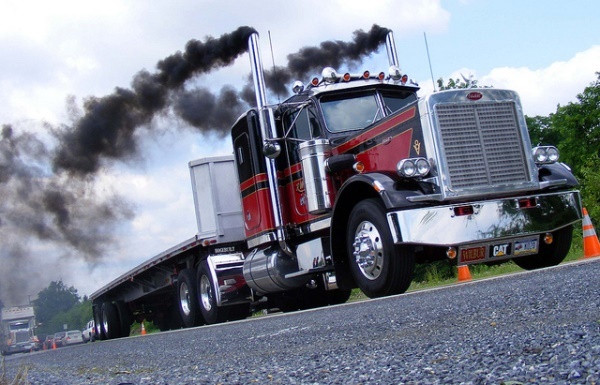 Tell the EPA to pass the strongest possible rule -- to reduce pollution from medium- and heavy-duty vehicles by 40% by 2025! 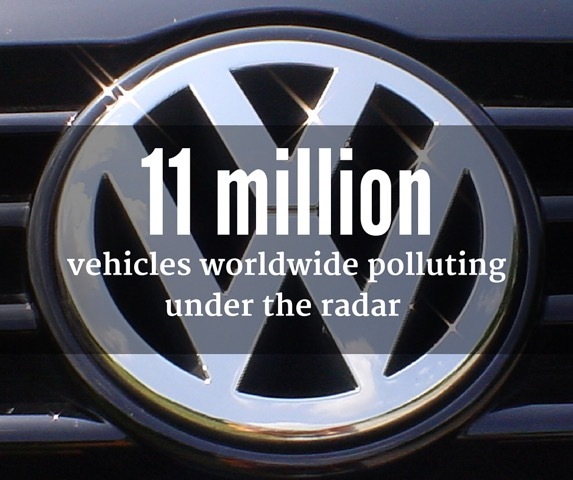 Volkswagen repeatedly violated the Clean Air Act for the last 6 years. Their "clean-diesel" cars could be emitting up to 15-35 times more smog-forming pollution while on the road than was showing up on their emissions tests. This is UNACCEPTABLE: Sign our petition to tell the EPA that we need to prosecute Volkswagen to the fullest extent of the law. The Obama administration is considering permanently protecting two of the nation's most magical underwater habitats. These areas are home to a remarkable diversity of ocean life from endangered right whales to sea turtles, but without protections, these fragile habitats and the animals that call them home are at risk. Urge President Obama to protect these national treasures before it's too late. Scientists now warn, "If we burn it all, we melt it all." That's why we must keep most of the Earth's fossil fuels where they belong: in the ground. Tell Congress you oppose lifting the oil export ban. Polluters friends in the U.S. Senate are reaching deep into the bag of dirty tricks to halt restored protections for our waterways. We can't let any of their "dirty water" efforts succeed. Send a note to your senators asking them to stand for clean water. The hard rock mining industry should not be allowed to build new mines in and around our cherished waterways until it cleans up from past mining operations. Please add your name. Will we take the biggest step ever on global warming? The Clean Power Plan is the strongest action we've ever taken to tackle global warming. The plan will reduce carbon pollution from power plants by 32% and it’s a critical part of helping us reach a strong climate deal in Paris later this fall. But it’s under fire from all corners. Polluters and allies are filing lawsuits. Senate Majority Leader Mitch McConnell is even calling foreign officials to undermine President Obama's plan. With record drought, record wildfire and record global temperatures, we can't afford to let climate-deniers block this critical step before it has a chance to work. Tell Congress to support the Clean Power Plan today. The U.S. Department of the Interior just granted conditional permits for Royal Dutch Shell PLC to begin drilling off the coast of Alaska in the Chukchi Sea. Tell President Obama this is a big mistake. As the oil and gas industry seeks to expand fracking on public lands across the country, including near our national parks and areas that provide critical drinking water for millions of Americans, now is the time to call on our elected officials to take a stand against dirty drilling. The Protect Our Public Lands Act would ban fracking on all federal lands, protecting our most special places from fracking's dangerous and destructive impacts. While the only way to truly protect our environment and our health from fracking is to ban it outright, some places are just too precious to drill and frack and that includes our parks, canyons and forests. Tell your representatives to take a stand against fracking by cosponsoring the Protect Our Public Lands Act. Some members of Congress are trying to pass a law that would eliminate federal oversight of spraying pesticides in and around our waterways. Pesticides have been linked to a wide range of human health hazards and wildlife die-offs. Permitting helps ensure pesticides are used in a responsible way that reduces contamination of our streams, rivers, and lakes. Please tell your senators to stand against this reckless action now. In less than 50 days, our nation's most successful conservation program could end. From the Grand Canyon to the parks and trails in our own backyards, the Land and Water Conservation Fund (LWCF) has set aside and protected special places for the past 50 years. Don't let Congress let it die. Attacks against advancement and attempts to turn back the path of process are rampant in our nation. Policies such as The Clean Power Plan and Clean Energy Incentive Program are essential for not just our children’s future, but also to protect our current way of life. However, with big coal and other special interests fighting to keep things just as they are, we need to do more to make sure these policies remain in place. Solar, energy efficiency, and wind are the best ways to assure that the clean power plan is successful. We know clean energy solutions work, and we know how to make them available for all. Sign to help the EPA implement affordable energy solutions as a part of the Clean Energy Incentive Program. Murray Energy, the largest private coal company in the nation, recently filed a lawsuit to derail the Clean Water Rule. 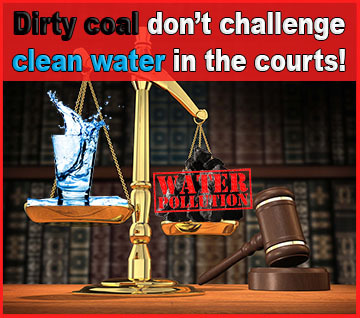 It’s bad enough when coal companies pollute our rivers and streams, but now Murray is mucking around in our courts. Please add your voice today. The Clean Power Plan is the single-biggest step the United States has taken to reduce global warming pollution. Ever since the Obama administration proposed it in 2014, polluters and climate deniers have fought it every step of the way. But now, the rules are final, and it's time to celebrate! Join us in thanking the president for acting on climate, and passing the Clean Power Plan. Tell President Obama to protect the Grand Canyon and its watershed from uranium mining by creating a new national monument. 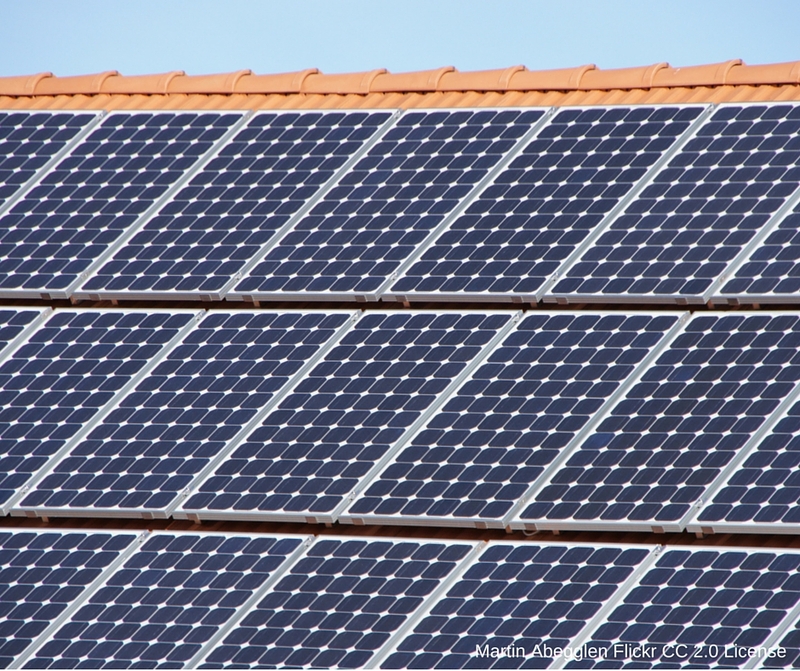 Solar is often viewed as an option only available to the upper middle class and wealthy. President Obama just took an important step to help remedy that and make sure that all Americans have the right to choose clean energy. Thank you for sending a letter to the President thanking him and letting him know we back his efforts to expand solar energy for all. Tell EPA to clean up trucks! A third of U.S. global warming pollution comes from transportation. Big trucks represent an opportunity to clean that pollution up. Although they make up only 7 percent of the traffic on our roads, medium-and heavy-duty vehicles produce more than a quarter of on-road global warming pollution. The U.S Environmental Protection Agency and the National Highway Traffic & Safety Administration have proposed a new standard that will make trucks go further on a gallon of diesel. This is an important opportunity to prevent pollution, help America get off of oil, and save us all money. Tell Transportation Secretary Foxx and EPA Administrator McCarthy to make the final rule as strong as possible. Pope Francis just took an incredibly powerful and highly visible stand on global warming, but climate-deniers and polluters are already belittling his words. President Obama is about to go big on global warming, Mitch McConnell is going all-out to stop him, and you can tip the balance. Lake Michigan and Lake Superior are undoubtedly a huge part of what makes living here so great. They're the backbone to Wisconsin and a beloved part of our natural heritage. 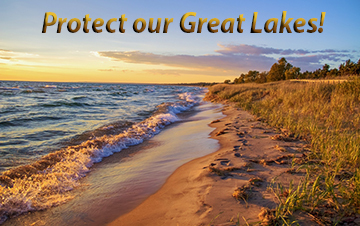 Tell Congress to champion the program that’s made the recovery of Lake Michigan and Lake Superior so successful: The Great Lakes Restoration Initiative. This program needs to be expanded and enhanced, not weakened. Solar is a virtually limitless, pollution-free energy source for the United States. We oppose recent efforts by you, the Koch Brothers, as well as your related organizations and special interest allies, that seek to slow down or halt the advancement of solar energy. The House will vote any day now on two bills designed to kill restoring protections for our waterways. At stake here is the drinking water for one in three Americans, as well as the quality of life that comes from enjoying our favorite waterways. Please send your representative a quick note letting him or her know you’re fired up for clean water. Bees are dying ... but the EPA is still allowing bee-killing pesticides on the market. Tell the EPA to stop the use of bee-killing pesticides. Bees are dying at a startling rate, but the EPA is still allowing bee-killing pesticides on the market. Tell the EPA to stop the use of bee-killing pesticides. That's why we're urging our nation's governors to commit to getting at least 10% of our power from the sun by 2030. The Senate recently voted on an amendment seeking to limit the clean water rule. Send Wisconsin's senators a note of thanks for voting against the amendment, or tell them no thanks for voting for it. Depending on how your senators voted, they will show up below as a “Thank you” or “No Thank You.” Please send 'em both a note! Industrial facilities continue to dump millions of pounds of toxic chemicals into our waterways — threatening both the environment and human health. In fact, McCain Foods USA dumped 700,000 pounds of toxic releases into Wisconsin's waters in 2012, a significant portion of the 2.8 million total pounds of toxics dumped into Wisconsin's waterways that year. Polluters should be held accountable for their actions. Please sign the petition to urge McCain Foods USA to stop polluting Wisconsin's waters. Tell President Obama: Declare our nation’s parks and forests safe from fracking. Oil and gas companies have expressed interest in fracking 12 million more acres of public lands -- and the Obama administration is on the fence whether to let them have it. Please tell the president: Do not allow fracking in our national forests or near our national parks. The same companies that are polluting our rivers with toxic chemicals are also polluting our politics with their spending. Right now, Wisconsin's water polluters are spending millions to lobby their allies on Capitol Hill to block the clean water rule, which, if adopted, will help protect the drinking water of 390,000 Wisconsinites that is currently at risk to pollution. A bill to stop the clean water rule is currently pending in the House of Representatives. Send a note to your representative asking him or her to not be influenced by polluters, but to listen to the majority of Wisconsinites who want to move forward with protecting our waterways and drinking water. That's why we're urging our leaders to commit to getting at least 10% of our power from the sun by 2030. President Obama has announced the biggest action we’ve seen in years to fight global warming – setting the first-ever limits on global warming pollution from existing coal plants, the single largest source of global warming pollution in America. The proposed clean water rule would restore protections for more than 30,000 miles of Wisconsin's streams. Will Congress heed the more than 800,000 Americans who have called on the EPA to protect our drinking water and ensure the health of our streams? Or will Congress cater to the polluters and developers who want to pollute our waterways and pave over our wetlands? We're on the verge of a big victory, but we need your action to protect the waters we love! Send a message to your Congress members urging them to move forward on clean water by making a public statement in support of the clean water rule. 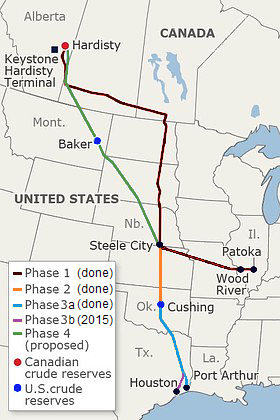 Mitch McConnell is making the Keystone XL pipeline the new Senate’s first order of business. Help stop Keystone by urging your senators to vote NO. Call on the governor to commit to getting at least 10% of our power from the sun by 2030. 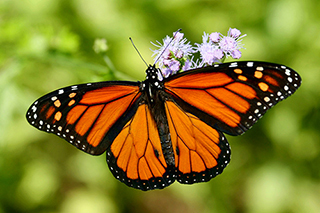 Over the last 20 years, 90 percent of monarch butterflies in North America have died off. And we know the reason: massive amounts of herbicides killing off milkweed -- the only plant on which monarchs will lay their eggs, and the primary food source for monarch caterpillars. Send a message to President Obama urging him to rein in reckless herbicide use. The Environmental Protection Agency has proposed the biggest action we've seen in years to fight global warming: a Clean Power Plan to set the first-ever limits on global warming pollution from existing coal plants. 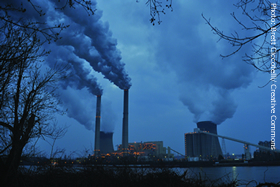 Sign the petition to the EPA supporting limits on carbon from dirty power plants. Will the U.S. Senate heed the more than 740,000 Americans who have called on the EPA to restore Clean Water Act protections to nearly 2 million miles of our nation's streams? Or will the Senate cater to the oil and gas, coal, developer and agribusiness lobbies that want to block us? We're on the verge of a big victory, but we need your action to protect the waters we love. Send a message to your senators urging them to move forward on clean water—not backward.